With their first practice on November 14, 2010, Mercer Special Hockey had 13 Players, 7 Coaches and 4 Junior Coaches. Since that first season, the program has grown to over 40 Players, 10 Coaches and more than 30 Junior Coaches. Founded by a group of parents and volunteers, the Mercer Special Hockey program works to provide opportunities for individuals with developmental disabilities to participate in the sport of ice hockey in a specially-adapted learning environment. Mercer Special Hockey is comprised of over 40 developmentally disabled players (ages 5 and up) across a wide range of abilities, from advanced to learn-to-skate, who participate in a brand of the sport known as "Special Hockey." Mercer Bulldogs are looking for new skaters and players! 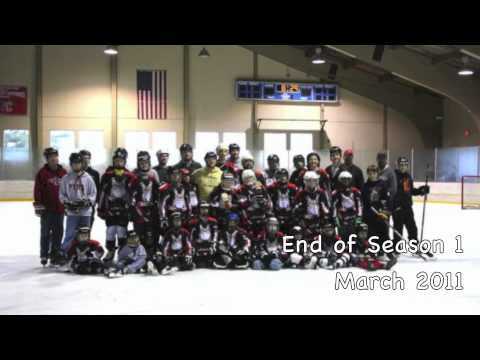 Mercer Special Hockey has released a new video on YouTube. The new video highlights some of the weekly practices, ASHA games and special events that make the season so special. Throughout the video, Chris Benbow discusses the inspiration for the program, the support of the community and the joy it brings to the kids. The new video is a great way to share with the community what Mercer Special Hockey is all about and how it helps special needs children in the Mercer County area.